Who loves saving money with gift cards?! Gift cards are great to share as gifts, but they’re also a super easy way to save money on eating out and shopping! 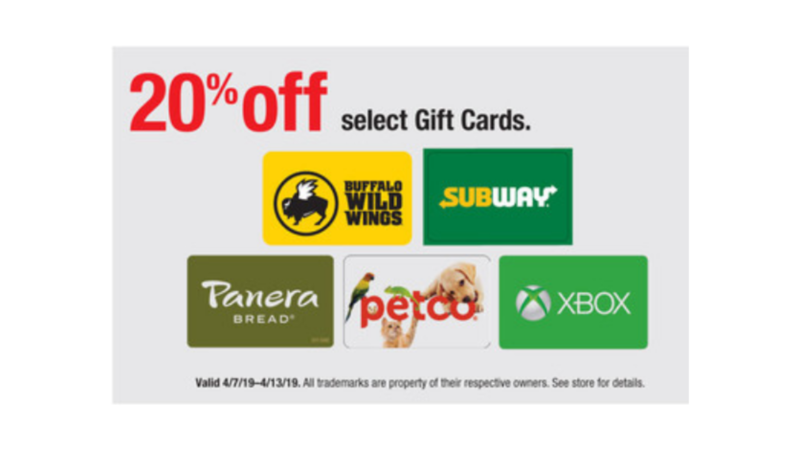 This week at Staples, get select gift cards 20% off in-store only! Save on Subway, Panera, Petco, Buffalo Wild Wings and more. Deal ends 4/13. Deal is available in-store only. See more ways to save on gift cards!